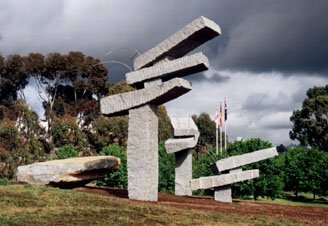 Often consulting with tribal elders – Maori in his native land, Aborigines in Australia – New Zealand sculptor Chris Booth creates elementally-inspired monumental works of tremendous beauty, strength, and grace. 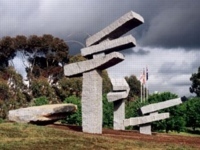 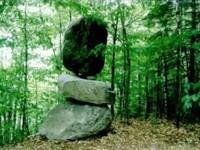 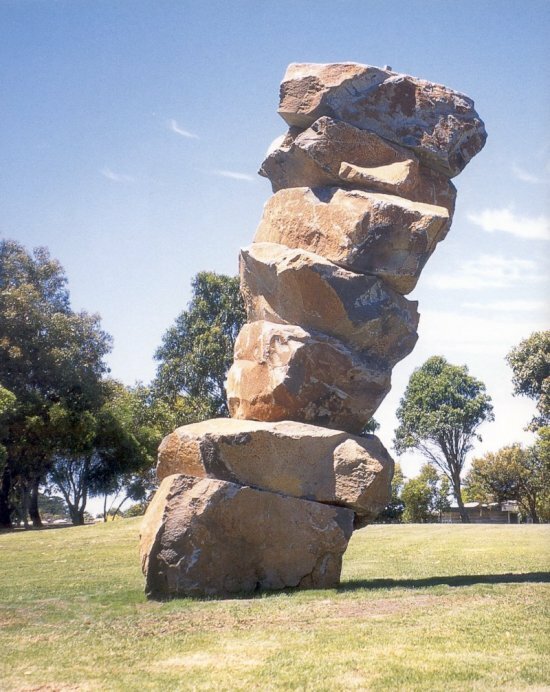 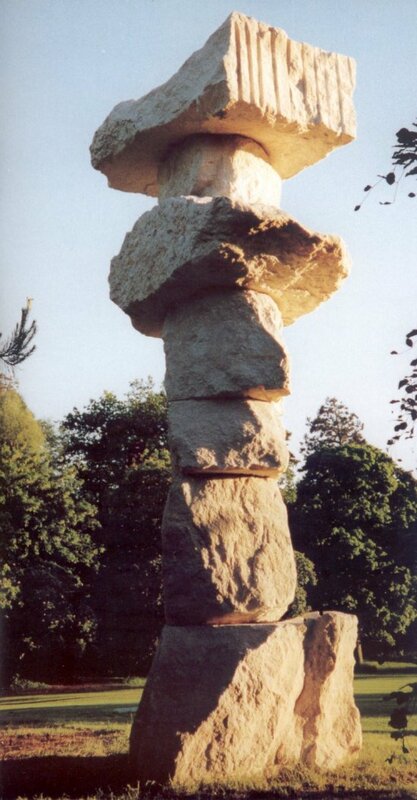 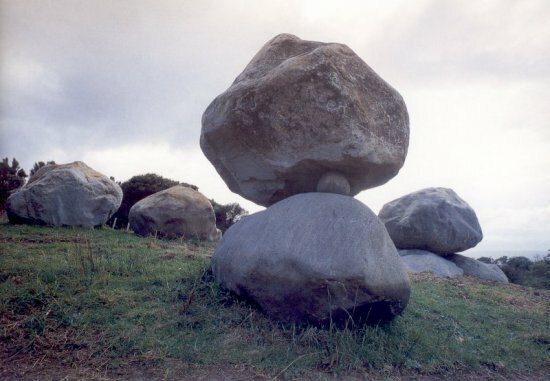 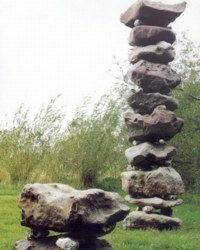 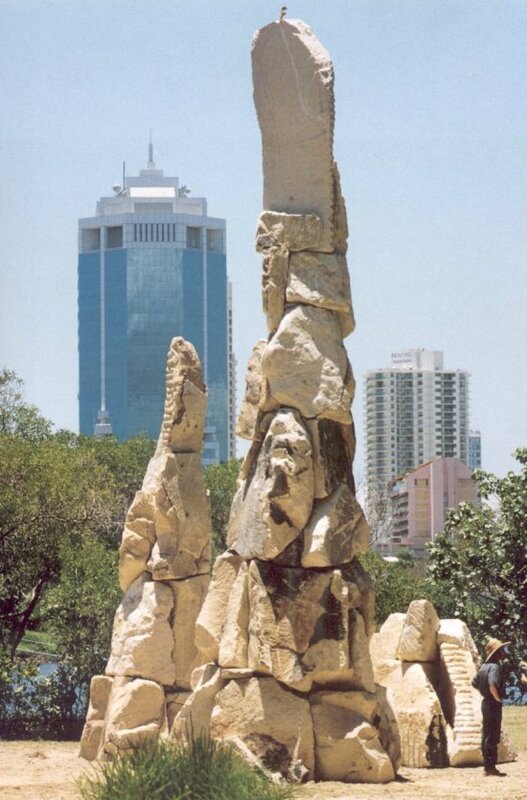 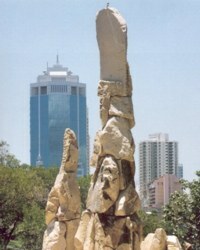 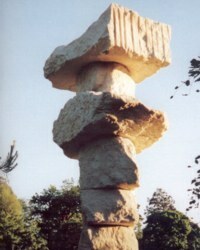 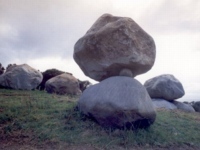 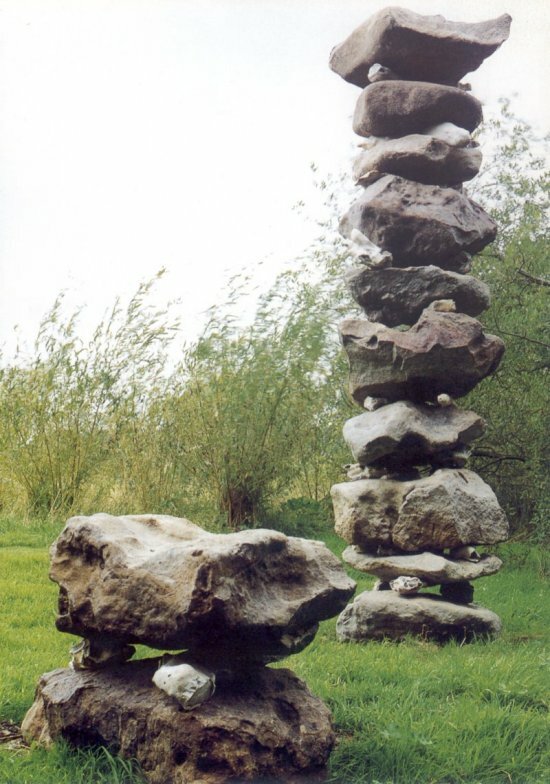 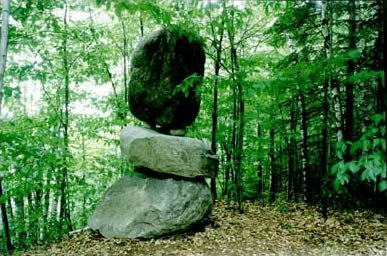 His Slabs, Columns, and Boulders series reveal the pure balancing with which they typically begin, even if they are later "retro-fixed" due to safety requirements for permanent public art. 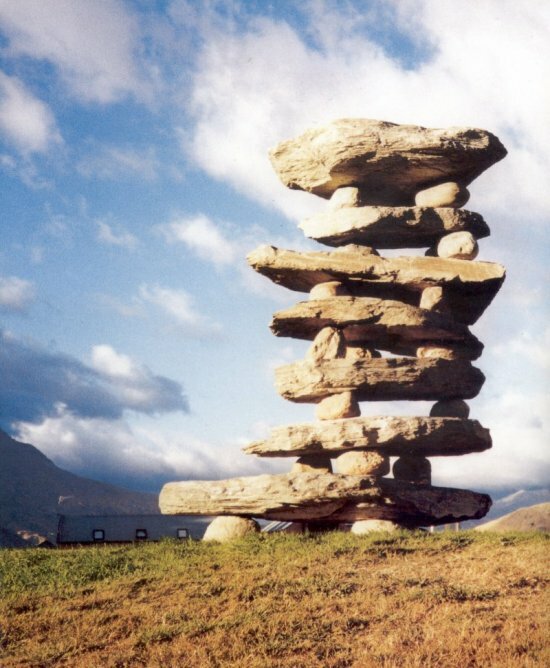 Drawing upon the forms, materials, and native traditions of the environment around each installation, his pieces frequently seem to have arisen from the natural landscape. 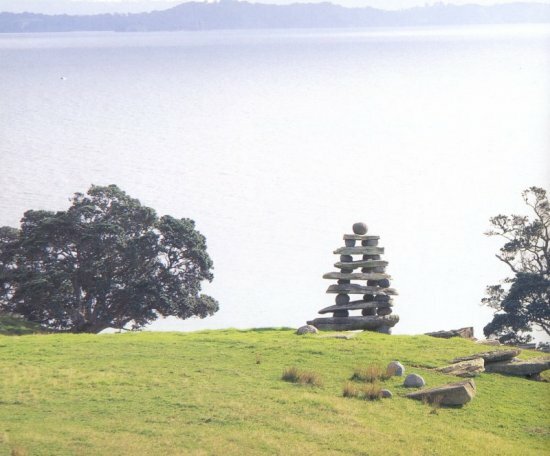 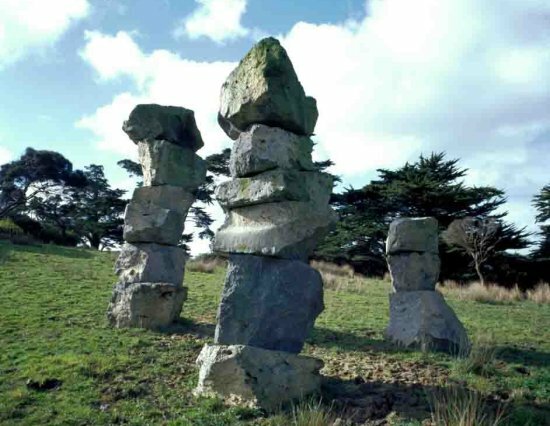 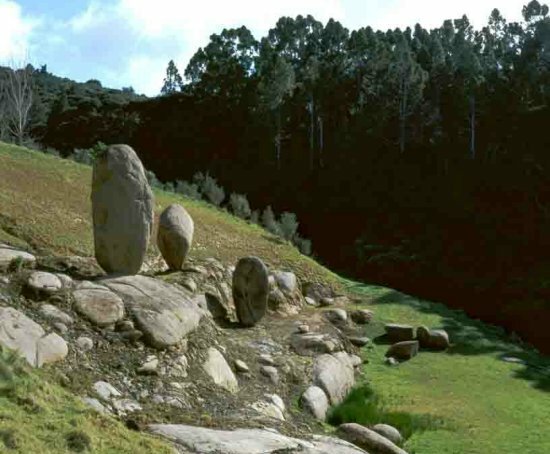 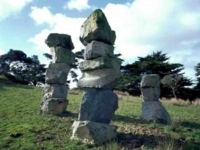 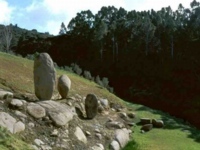 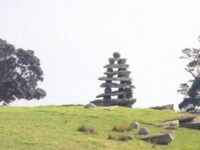 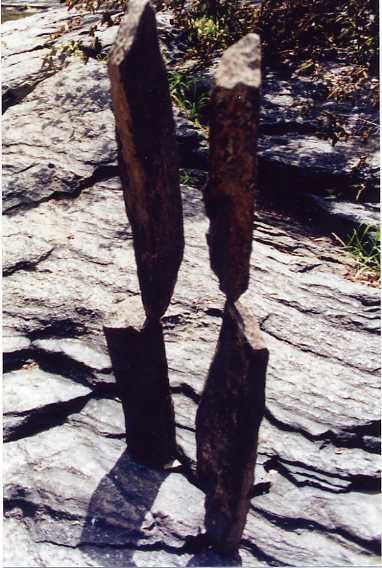 Boulder Outcrop (1998 Auckland) and Isles des Silences (2001 Quebec) - the pieces at the center of the row below - are "unfixed", despite being constructed from stones as large as 16 tonne.